Heal the Ocean Executive Director Hillary Hauser was featured onSolutions News Radio on Friday, March 29, 2019, in a lively discussion withWorld Business Academy (WBA) Founder/Director Rinaldo Brutoco and Kristina Jansen, Chief of Staff/Producer of Solution News Radio. On the Friday session, Hillary and Rinaldo discussed the positive and negative consequences of converting decommissioned oil platform foundations as "rigs to reefs" in the ocean off the Santa Barbara coast. Solutions News is a new weekly radio talk show that discusses solutions to local, national, and global problems to give people optimism concerning solutions for the future. Rinaldo Brutuco is the Founding President of the World Business Academy (Founded in 1987). He is an economics and business expert specializing in energy policy, renewable energy, finance, innovation, and the causes of, and adaptation strategies for, climate change. Heal the Ocean spent much time working with environmental health directors from around the state in Sacramento meetings to craft language for AB 885 septic regulations, written into law by then-assemblymember (now state Senator) Hannah-Beth Jackson in the year 2000. It was difficultbusiness, because Malibu is different from Mojave, and San Diego is not the Russian River, and so on. 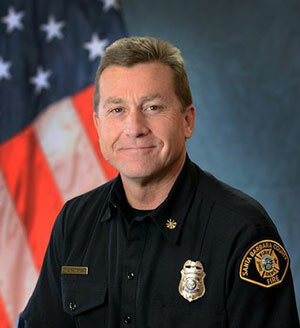 But with the consulting help of former Santa Barbara County Environmental Health Director Rick Merrifield (who is now on HTO’s Advisory Board), we and Heal the Bay, Santa Monica wereable to make input into language that was acceptable to all, and the regulations went into effect in June 2012. *Notices have been heavily redacted to delete confidential information. On April 16, 2019, the Santa Barbara City Council will act on the city Water Commission's recommendation that the El Estero Wastewater Treatment Plant be renamed El Estero Water Resource Center. As a result of HTO’s recommendation during the Water Commission’s February 15, 2018 meeting, the name change was approved by the Commission on March 28,2019 and will next be taken up by City Council. The name change reflects the expanded role of wastewater management, in that the facilities have a much larger role than in the past in relation to recovering water resources and protecting the environment. The Goleta Sanitary District changed its name to Goleta Sanitary Water Resource Recovery District last year and together with the Goleta Water District are recycling water for landscape irrigation to the tune of saving up to 300 million gallons of potable water annually. Heal the Ocean welcomes Wendy Pelayo to our team as Operations Intern! In two short weeks, this wonder-woman has produced an immense amount of work that has helped us move forward on many fronts. Wendy, a third-year undergraduate student in Environmental Studies at UCSB, is responsible for assisting with research projects, administrative duties, and supports HTO social media work. We're glad to have her with us! In mid-March, 2019, State Lands Commission petroleum drilling engineer Steve Curran called HTO to report that funds from state senator Hannah-Beth Jackson’s SB 44 legislation were being used to clear the rusty hazards from Haskell’s Beach, which fronts the oceanfront Bacara Resort. HTO Advisory Board member (and hard worker!) Harry Rabin documented the work with aerial drone and still photography. Heal the Ocean is so very happy to announce that the notorious Treadwell oil well which is actively spewing oil into the ocean off Summerland Beach, will be capped this summer. We thank State Lands Commission (SLC) petroleum drilling engineer Steve Curran for working closely with us to get this project rolling, and for putting us together with Mike Giuliani andErik Kroh of InterAct Engineering, Ventura, which has been contracted by State Lands to get the capping project underway. HTO also thanks Nora McNeely-Hurley, who keeps a watch on the water from her Summerland seaside home, letting us know when new oil messes appear on the surface, and lately, there has been a LOT from Treadwell. HTO has long worked on the problem of leaking sewer laterals, which, if faulty (or even non-existent), can back up wastewater into the house, leak into the ground/groundwater, and cause other environmental problems. Years ago, we worked with the City of Santa Barbara to create an annual fund to help homeowners pay for inspection and repair, but after a number of successful years (and the annual fund growing from $200k to $900k per year), those funds dried up. Therefore, we welcome the news that the City is ramping up another program for sewer lateral inspection and repair. City Water Resources Manager Joshua Haggmark explains that leaking laterals not only pollute the ground but when they are "roto-rooted" due to tree roots reaching into cracks in the lateral and plugging up wastewater flow, a big clump of roots wind up jamming wastewater works at the plant. On this note, former City of Santa Barbara Wastewater Manager Lisa Arroyo has created a sewer lateral service that can fix faulty lateral-pipes with a trenchless method that makes for less mess and expense. Headquartered in Goleta, Arroyo Trenchless is a licensed general engineering contracting company that focuses on trenchless construction methods to repair, rehabilitate, replace and/or install new underground infrastructure. The company has a state-of-the-art "sewer trailer" with equipment to perform sewer lateral rehabilitation, spot line repairs, inspection, and cleaning. Lisa Arroyo, President of Arroyo Trenchless, is a licensed civil engineer and certified by the National Association of Sanitary Sewer Organization (NASSCO) in its Pipeline Assessment Condition Programs. If you are experiencing numerous calls to Roto-Rooter services to free up your pipes (often needed when it rains! ), please visit Arroyo Trenchless on its website at ArroyoTrenchless.com or call (805) 699-1717 to learn more about its services. You'll be doing a big service to the ground and groundwater--which all goes to the ocean! James Hawkins, MMP (HTO Advisory Board Member) and his Inventory of California Wastewater Discharge. A study published by Heal the Ocean, Santa Barbara, has been credited as a compelling factor in a Senate bill introduced in February 2019, that would require huge reductions in the volume of treated wastewater discharged into the Pacific Ocean and California estuaries. 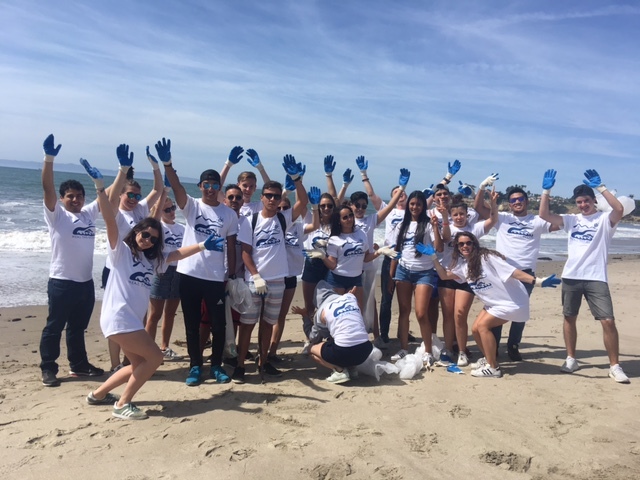 SB 332, the Local Water Reliability Act, calls on wastewater treatment facilities to step up recycling, conservation, and efficiency to meet reduction targets of 50 percent by 2030 and 95 percent by 2040 for the amount of waste(d)water dumped into the ocean and other water bodies. In announcing the introduction of SB 332, its authors, Senate Majority Leader Bob Hertzberg (D-Van Nuys) and Senator Scott Wiener (D-San Francisco), cited the amount of waste(d) water going into the ocean based on the groundbreaking study, Inventory of Municipal Wastewater Discharges to California Coastal Waters, authored by former HTO Policy Analyst (and now Advisory Board member) James Hawkins, MPP, and published by Heal the Ocean in September 2018. As reported in the Los Angeles Daily News on February 20, 2019, SB 332 is expected to start the Senate committee review process next month, in April 2019. Heal the Ocean will be participating in that review process, with our chief concern being that the higher recycling goals would produce an inordinate amount of toxic brine waste, for which there is no feasible technology for disposal. Wastewater plants cannot exceed pollution limits in their discharge permits. The problem of brine waste has been examined by Heal the Ocean in its report, Brine Waste: Issues, Disposal, and Reduction, which presents facts that mean SB 332 may be unattainable as written. State Lands Commission Petroleum drilling engineer Steve Curran sent a picture to Heal the Ocean this week that shows the rusty, hazardous pilings now being removed from Haskell's Beach, adjacent to the Bacara Resort. The removal is being done with funding from Senator Hannah-Beth Jackson's Senate Bill 44, which takes in coastal hazards removal as well ascapping of abandoned, leaking oil wells. 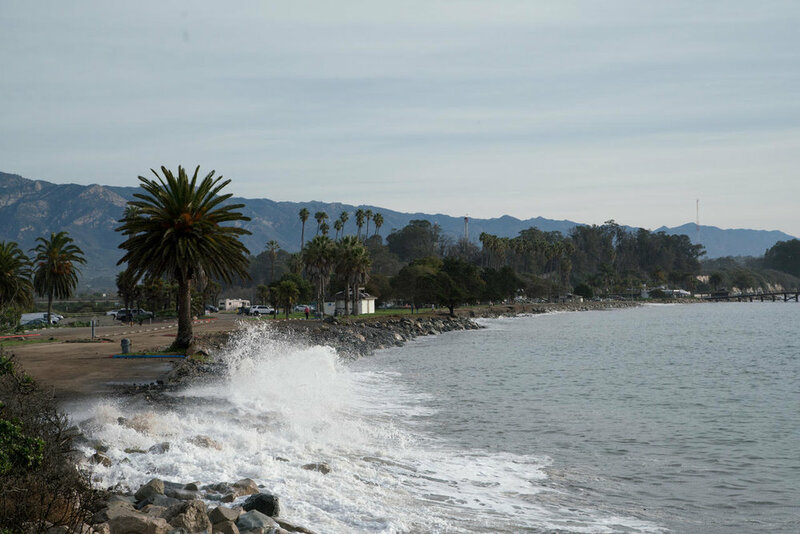 Curran is in the Santa Barbara area every week, planning the next oil-capping operations for Summerland beach as well as overseeing the decommissioning of old wells on Rincon Island, a 2.3-acre artificial island located off Mussel Shoals in Ventura County. Thank you, Steve! Film producer, writer, cinematographer and director Harry Rabin has joined Heal the Ocean's Advisory Board, lending us his invaluable hand with aerial drone work to assist State Lands work on the Summerland Oil Field cleanup. Harry is also beginning to work on a documentary, which includes some of Heal the Oceans success stories, and he helps us in achieving many of our goals to help our environment. The founder of On the Wave Productions—Harry is a talented film producer with a passion for the ocean and marine life. He has worked on several projects with Mike deGruy, consulted for James Cameron's “Deepsea Challenge 3D” and produced natural history shows aired worldwide as well as providing footage for other films like Sylvia Earle’s Mission Blue documentary. 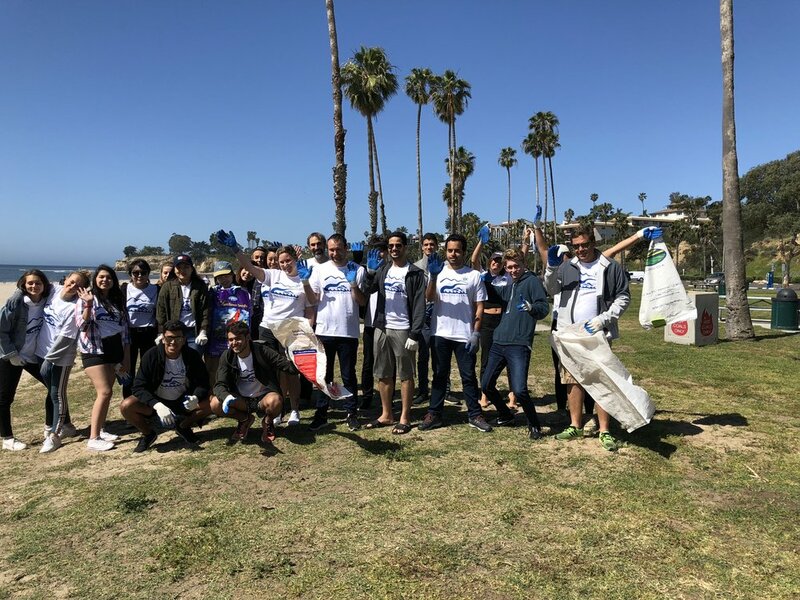 Rabin works as an official advisor and liaison between universities, community and government entities like NOAA, USGS, UCSB's Bren and Marine Sciences Institution, Channel Islands National Marine Sanctuary, California National Marine Sanctuary, WHOI, Monterey Bay Aquarium and more! He also serves as Producer and advisor to the prestigious Academy of Underwater Arts and Sciences. Welcome aboard Harry, we are thrilled to have your expertise and insight as we move forward! Former HTO Policy Analyst James Hawkins has been appointed Associate Director of Berkeley Institute for the Future of Young Americans at the Goldman School of Public Policy at UC Berkeley. The position follows hisreceiving a Masters of Public Policy from UC Berkeley. James' focus at the Institute includes examining public policies designed to expand opportunity for young people in today’s labor market. During his time at HTO, James led policy campaigns for recycled water as a green water supply alternative. This work included publication of a white paper (Inventory of Municipal Wastewater Discharges to California Coastal Waters) as a foundational work to examine the potential for recycled water production from coastal wastewater treatment plants in California. James still works with HTO on the Advisory Board as policy consultant and we are thrilled to have him carry on with us still! The Santa Barbara Airport flooded. Goleta Beach Park gone. The ocean over Cabrillo Blvd...are these scenarios sensationalism? No. The above scenarios will come to pass by 2100 if nothing is done to prevent such inundation- or at least prepare for it. 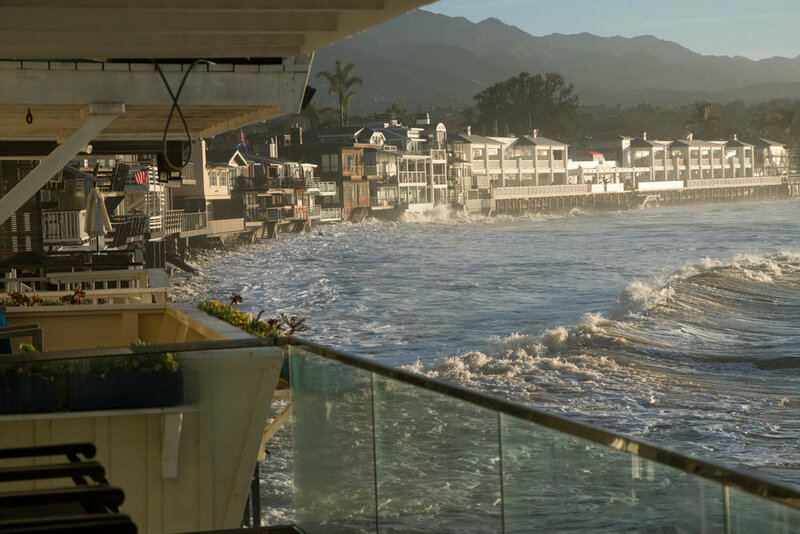 Sea Level Rise, directly caused by climate change, is a real deal, and theKing Tides of December 22-23, 2018 & January 20-21, 2019 gave us a hint of what the future looks like for Santa Barbara if we do nothing but talk about it. A Picture is Worth A Thousand Words...HTO contracted withphotographer/pilot Harry Rabin and well-known surf photographer Branden Aroyan to photograph Sandyland/Sand Point (Carpinteria coast area), Miramar Beach, Goleta Beach, and the Santa Barbara Airport. The photos speak for themselves. All these areas are at risk of flooding - even now, in a high tide/storm event. Years ago, as climate change symposiums and plans and analyses began to proliferate, HTO made strong input about Adaptation to Sea Level Rise. Years ago, we recognized how much of our infrastructure is in flood zones and smack in the path of an incoming ocean. We maintained then, and emphasize now, that we must act. A building permitted today should last longer than 30-50 years. All the money spent on expanding the Airport might have been better spent building a monorail to the Santa Maria airport - because the Airport is already flooding, and may be totally underwater in too few years. Heal the Ocean is campaigning for these, and other preventative measures, to prepare for things to come.